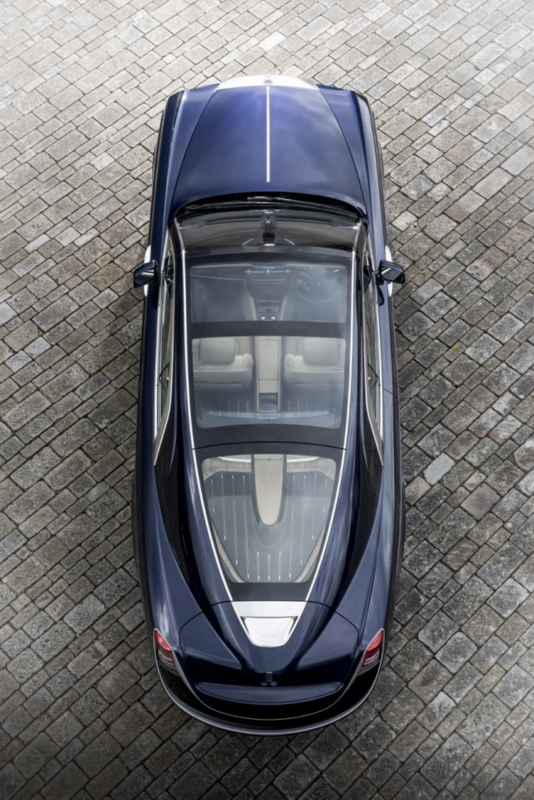 Inspired by luxury yachts and 1920’s automobiles, the new Rolls-Royce Sweptail coupe is a coach built Phantom coupe concept embodying classic luxury style with a modern take. 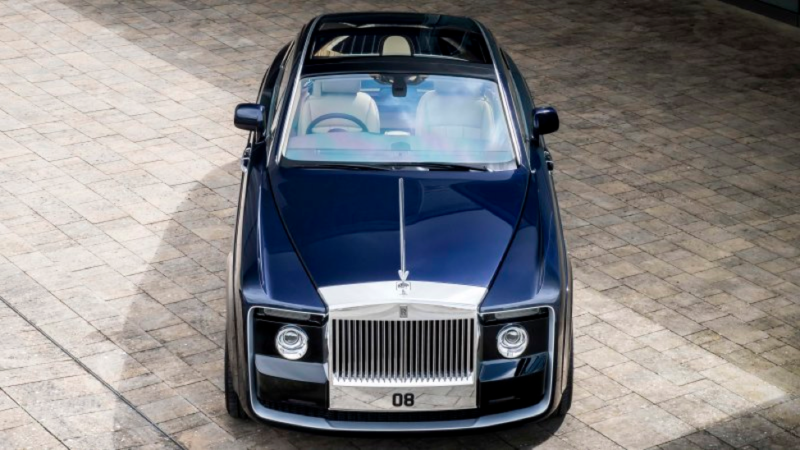 This $13 million car is currently the world’s most expensive new vehicle. 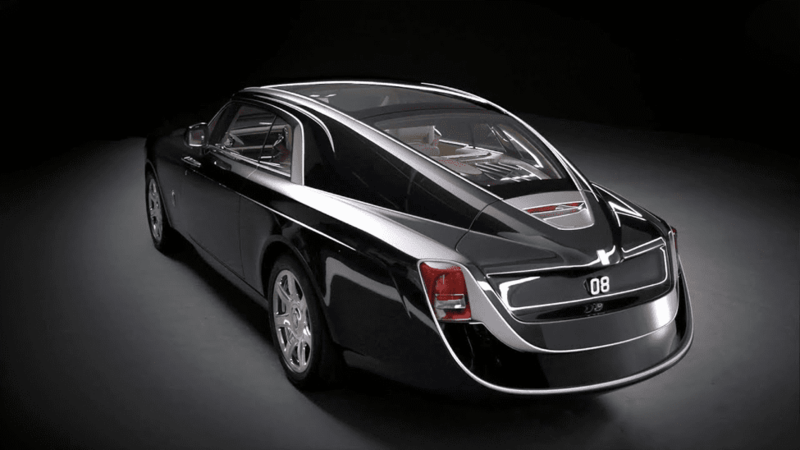 The Rolls-Royce Sweptail seats two passengers under one of the biggest and most intricate pieces of glass ever to be put on a car. This panoramic glass roof is framed by polished aluminum rails and provides natural light and easy viewing into the car’s interior cabin. Instead of rear seats, a large shelf with luggage rails takes over the backseat along with a mid-shelf containing an illuminated glass edge. In the center console, a champagne chiller has the ability to dispense a bottle along with a pair of flutes for enjoyment. Behind the opening of both coach doors, hidden pockets easily hide a laptop on either side. From the outside, it may appear the Sweptail does not have adequate trunk space but in actuality the luggage space remains sizable. This custom-built vehicle resembles a luxury yacht because of its sleek lines, curved glass roof with a swept-tail back, and body work that wraps beneath the car. The coupe’s oversized grille was made from solid aluminum and then hand-polished for a mirror finish. Additionally, a two-digit British license plate on both the front and rear of the vehicle has the same hand-polished mirror finish for increased sleekness. Capturing the traditional romance of travel, the Rolls-Royce Sweptail is a modern twist on classic luxury travel.